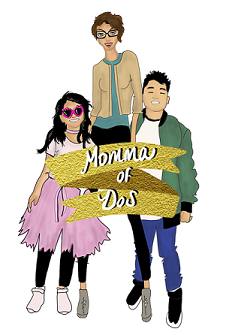 Momma of Dos: Maxed out on Creativity! Just trying to find myself as a person, a "writer" and a "creative" Mother of 1! I realized that the minute I stopped setting such strict topics and schedules for my blog the ideas and thoughts just came to me! So much that I am now writing for the next day almost right after every post, I love that! If that makes sense. Ha. While still keeping my morals, Faith, values and thoughts in accordance to who I am, I like this varied and random blogging, for now at least. What do you think? FEEDBACK ANYONE? Ha. I know I seriously need a life. Haha. Ok. So on to today! I have some ‘splaining ta'do about the car seat deal but will get to that in a second and first…. First off; lots of Blogs have “Guest Bloggers”! This sounds perfect for days when I really have nothing to say and I want to START doing this. I know I don’t have a super fancy, or popular Blog BUT if you would like to share your Blog, thoughts, ideas, gadgets, your website, your business, whatever you would like to share but are not quite sure how; share it here! I will be happy to promote you and get you some ooooooh’s and ahhhh’s! If you are a writer and have a topic you want to discuss, do it here! If you write poems, stories, songs; share them with us! What ever your TALENT is, I want to share it!!!! Your entry must be submitted at the beginning of the week (Sunday Night preferably) to be reviewed and published the following week. There will only be one entry per week, so space is on a first come first serve basis. All entries are subject to rejection. You must keep in mind that my site is family oriented and I like to base my writing on my Faith and morals. If you are a business please provide all pertinent information such as: Company Name , Contact information and what you do. 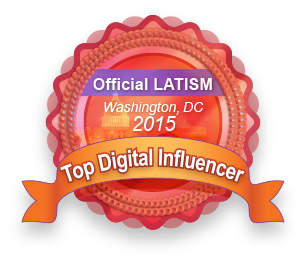 You can include pictures and descriptions or your own newsletter and giveaways! I would like for those of you who submit an entry and will not be anonymous to provide a small Bio so that others know who you are. Also, as situations arise, other rules may be added. The featured spotlight will run weekly and may change in day. This is a GREAT opportunity for you to get your talents recognized!!! I will greatly apprecite any contributions to my site and will be more than happy to share you with the world...or Houston...or ok, my 10 readers!!! Who I appreciate so much!!!! So go on! Submit!!!! Questions. Concerns. I would REALLY love to share your Great Gifts on my Blog! Another point of interest. I want to have giveaways…maybe once a month or once every couple of months, not sure right now BUT….being that I am a Mom, a Wife, a former Student, an Employee and most important a Catholic/Christian woman, I will find all age appropriate gifts to giveaway…. OR if you want to have a giveaway for your business or Blog…I can feature you here as well!!!! Another thing…I want to use my “creativity” and energy to “make things"…maybe when my husband gets back I can do this…. scrapbooking and sewing are my two biggest "things" right now….which is another thing I want….if you have a talent for making, crafting, sewing, etc, etc.... I want to help you SHARE YOUR TALENT! So go on.....Write it up, Add pictures and be Featured! Any questions, ideas, concerns, suggestions…LET ME KNOW!!!!!!! The explaination about the car seat....you forgot huh? Ha. Ok...well let's leave it for tomorrow! No seriously...I will tell you all tomorrow...I didn't write it up and was side tracked...plus it's a bit lenghty and I need to do some research. Hehe. I know. I was getting so stuck having such a strict topic schuedle for myself!! !